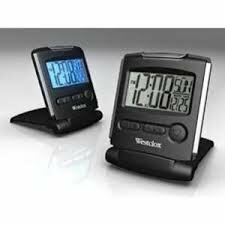 Perfect for anywhere anytime...this is the travel alarm clock that you'll want two of--one for your suitcase and one at home! Clear LCD display and blue backlight makes it easier to see when you need to see the time, no matter what time it is. Slim and compact, perfect for travel!